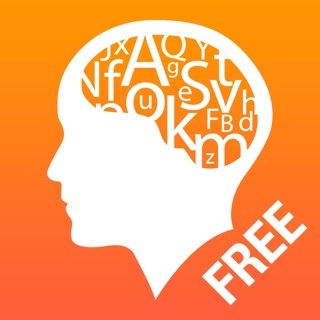 Vocabulary Miner is a free flashcard vocabulary app. 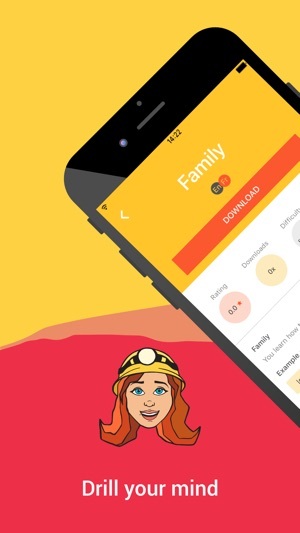 Vocabulary Miner makes vocabulary learning easy and fun. It is your personal vocabulary trainer. -Create your own list of words! - Learn any vocabulary list from the database with more than 300 000 Flashcards. Are you a foreigner in a new country or an advanced learner? Vocabulary Miner has topics and levels for anyone. - Learn everywhere, on all devices (iPhone, iPad), even OFFLINE. 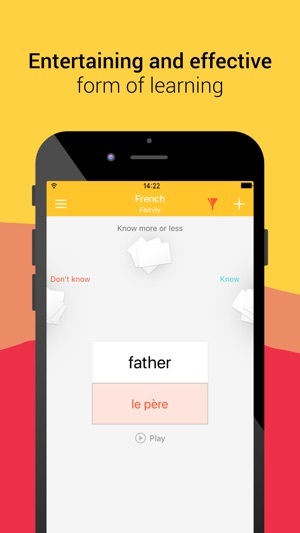 - Flashcards and vocabulary learning is simple, fast and fun. - Publish your vocabulary to others. Rate and comment Word lists made by other users. - No prescribed lessons - you decide what you want to learn. Learn more languages at once, create own Word list with example sentences, or download ready-to-learn vocabulary. - Statistics show you how your memory remembers more and more words with every learning session. Each package has its own statistics to track your progress. 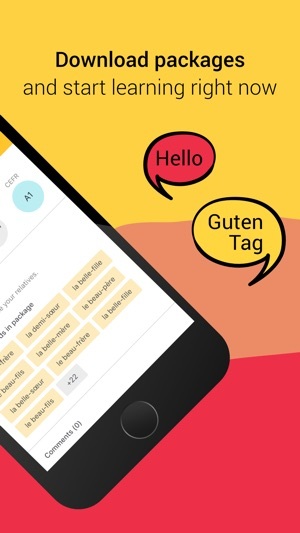 - The app has at least 6 language settings besides English (Czech, Slovak, Polish, French, Spanish, German). 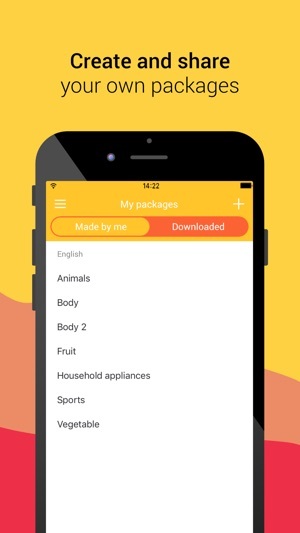 The app sets your language according to your phone language. * The database is growing every day: In January 2019 there were 300 000 Flashcards at least in 14 languages (Czech, English, German, Croatian, Ukrainian, Russian, Serbian, Turkish, Slovak, Spanish, French, Latin, Bulgarian, Italian) created by our members and Vocabulary Miner´s translators. * Any user can share their vocabulary with the community and download packages of others. Rate the best one, write a comment, share your opinion. Help us all to be better. * Once you go Premium, all packages are free to use. Vocabulary Miner can be used free of charge with limited access to package downloads. To download the unlimited number of packages, you can buy the monthly Premium subscription for $0.49 (or closest equivalent in your currency). Payment will be charged to iTunes Account at confirmation of purchase. Your subscription will be automatically renewed unless auto-renew is turned off at least 24 hours before the end of the current period. Your subscription will be charged for renewal within 24 hours prior to the end of the current period. Subscriptions may be managed by the user and auto-renewal may be turned off by going to the user's iTunes Account Settings after purchase. Hello Miners! We fixed several major and minor bugs. Happy learning and mining! Amazing app for all language learners! This app is so useful and super easy to use. There are many topics you can practice for each level, not to mention the number of languages they offer. They are slowly adding new packages and levels, so be patient. Bonus: you can also create your own vocabulary list and use it offline on the go or share it with others. All in all, a very well made flashcard app!